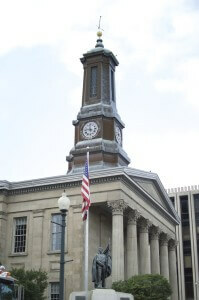 How Long Will It Take to Get to Trial in My Chester County Pennsylvania Car Accident Case? Once a Car Accident Personal Injury Lawsuit is filed in Chester County Pennsylvania, it will usually take a year to a year and a half to get the case to trial in front of a judge or jury. The first phase of the lawsuit in Chester County is the Pleadings Stage in which the injured party (Plaintiff) files a Complaint and serves it on the Defendant. Then, the Defendant files an Answer and asserts defenses. Finally the Plaintiff files a Repy to the defenses. The second phase of a Car Accident Personal Injury Lawsuit in Chester County is called the Discovery phase. In the Discovery phase, each side finds out details about the other side’s case and evidence so that the case can be settled before trial or, if trial is necessary, neither party will be surprised by any of the evidence. The Discovery process starts with each side asking the other written questions in Interrogatories and requesting relevant documents in Requests for Production. Usually, the Defense will also use Subpoenas to request all of a Plaintiffs medical records for both before and after the accident. It’s also common for a Defendant to hire a Defense Doctor to examine the Plaintiff, review medical records and prepare a report regarding his or her opinions about what injuries Plaintiff sustained in the accident. On the Plaintiff side, an expert doctor needs to be chosedn to testify and must prepare a report outlining the opinions to be offered at trial. Once Discovery is completed, the Car Accident Case is listed for trial. In Chester County Pennsylvania, the Court Rules presume that the Pleadings and Discovery will be completed by the one year anniversary date of the filing of the Lawsuit and the Case will be listed for trial at or shortly after that date. However, the trial listing can be delayed if either the Plaintiff or Defense attorney asks the Trial Judge to enter a Scheduling Order to delay the trial. Nevertheless, since the Trial Judges want to keep cases moving, it’s rare for trial to be delayed more than about 6 months. So, in almost all Car Accident Personal Injury Cases in Chester County Pennsylvania, the case will be settled or go to a jury trial within two years. Tim Rayne is a Pennsylvania Car Accident and Personal Injury Lawyer with Chester County offices in West Chester and Kennett Square Pennsylvania. For over 20 years, Tim has been helping injured victims of car accidents receive fair compensation from insurance companies through settlements, mediations, arbitrations and jury trials. Tim has been named a Top 100 Lawyer in Philadelphia and Pennsylvania by Super Lawyers. Tim has a Masters Degree and is Board Certified in Trial Advocacy. Tim is a lifelong resident of Kennett Square.